function of the vesicular monoamine transporter 2 (VMAT2) by oxidizing the cysteine-488 residue. saline/saline, saline/METH (5 mg/kg), and BD 1063 (10 mg/kg) / METH (5 mg/kg), respectively. 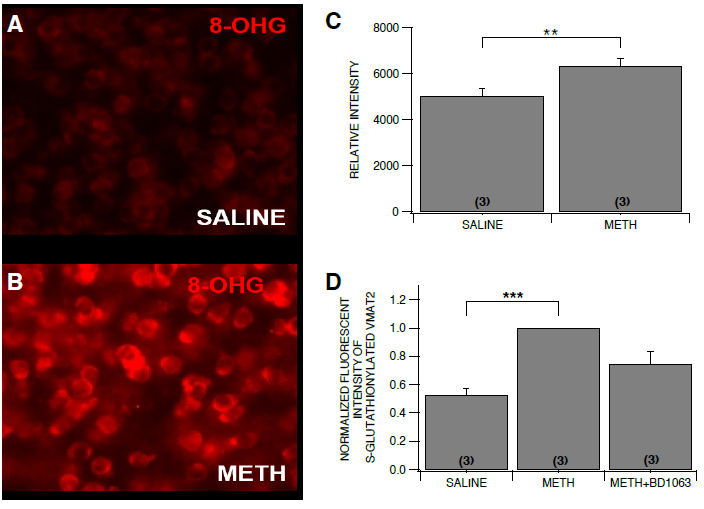 oxidative stress using 8-OHG as a marker indicate that METH induces the formation of ROS. 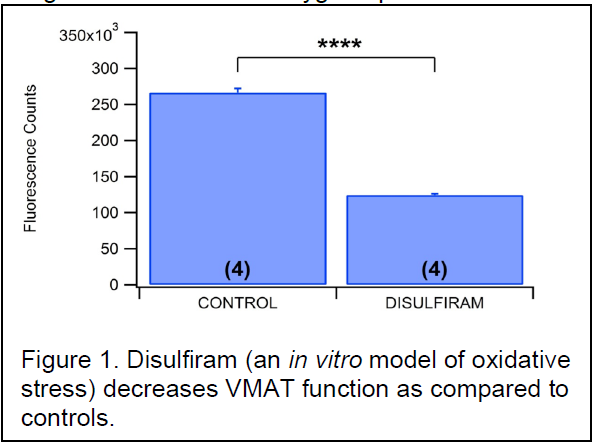 hypothesis that the METH-induced oxidative stress results in the S-glutathionylation of VMAT2. and addictive effects of METH. devastating effects of the disease.